We work with the business community and our partners to reduce the impact of roadworks and support business. In 2015, we collaborated with Shrewsbury Market Hall to provide designed hoardings during the months-long development of Mardol House. The designs included images of the Market Traders and conveyed a clear ‘open as usual’ message to visitors. 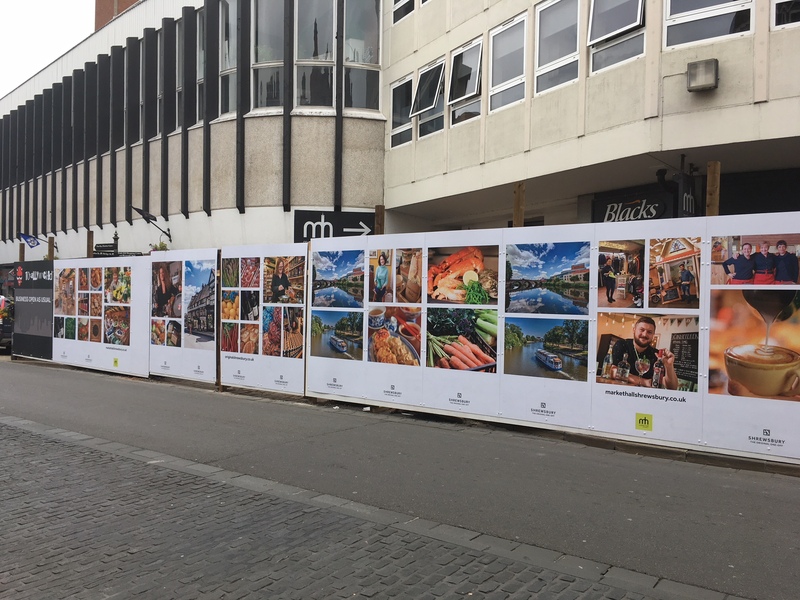 During electrical works in 2017, we worked with Shrewsbury Market Hall again to provide similar hoardings and reduce the disruption and drop in footfall felt by businesses. Shropshire Council are completing a programme of improvement works outside and within the town centre. 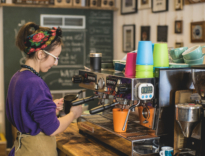 The Shrewsbury Integrated Transport Package (SITP) is a £12.1m group of projects, funded through the Marches Local Enterprise Partnership (LEP). Since the consultation, we have been in close communication with the SITP programme manager, providing feedback on town-centre projects through our board and working groups. 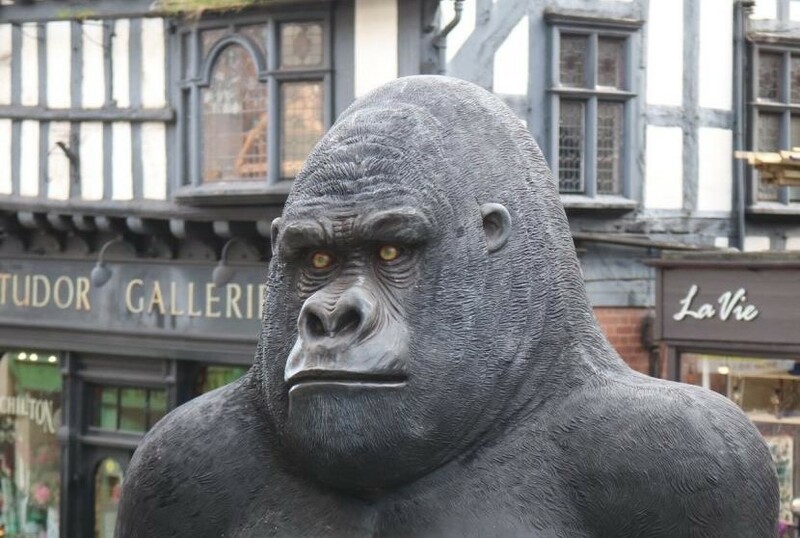 During a partial road closure on Wyle Cop, Shrewsbury BID created ‘Wild Cop‘ with life-sized fibreglass animals installed on the closed road for a two-week period. 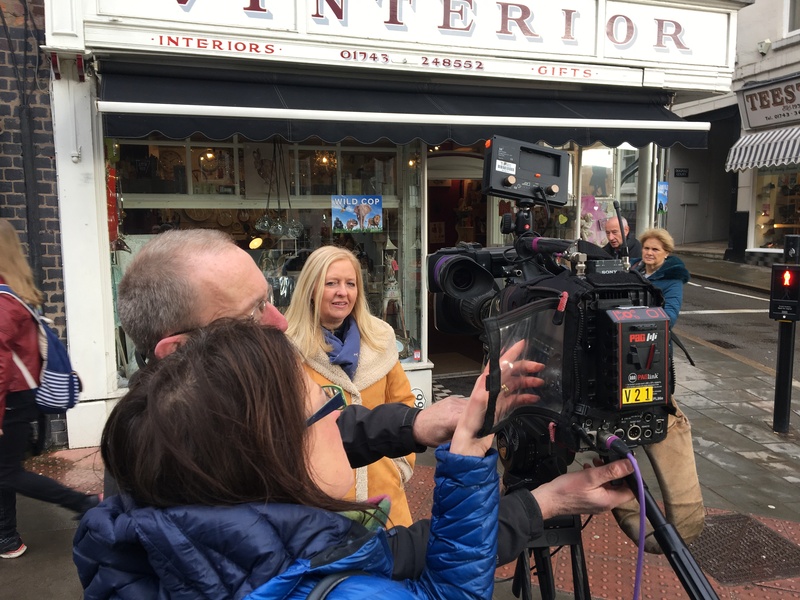 The installation aimed to bring people to the area during a time when businesses are suffering from a lack of footfall, with an activity book provided for families to complete. Positive feedback was received from social media and from local businesses.